“Merry Christmas, Peace on Earth, Wishing you and your family well…” and simple messages like that are what you may expect to read on the inside of a card following an artful printed cover. You may get a more comical version that will bring a smile to your face or a mental picture of the person who sent it. Either way, that single moment is a good thing and, at the very least, provides a collectible memento of years past. The whole sentiment behind sending a Christmas card has changed over the years as more and more people simply see less and less value in continuing the tradition. Perhaps, the decline in this emotional connection has been due, in part, to factors such as the impact of social media, cost of postage, and newer non-traditional methods of wishing each other well this holiday season. Now what if, providing you have not already succumbed to the declining numbers, there was a way of not only to continuing the tradition but also increasing its emotional value? What if, you could send a card, even a store bought card, which would create a longer lasting interactive experience that would not only provide a deeper connection but also encourage bond building? The method is simple and, depending on how you approach it, will cause a reciprocal effect for years to come. I call it the “Smart Christmas Card”. It’s an interactive Christmas card that keeps on giving. A smart card will bring your message to life by combing both tradition and modern technology. It does not require batteries, springs, or other bells and whistles. It is easy to produce and cost very little in terms of money. It does require just a little “extra” effort in learning a simple process called QR. QR is the simple square blotchy-looking box similar to the familiar bar code found on most packaging. The difference is the power of that simple little box. Using a QR code on your Christmas card will breathe life into it and turn your simple card into a creative greeting in a multitude of ways. Basically, what you are creating is an interactive Christmas card. The possibilities are endless. The interaction will not soon be forgotten and certainly will be scanned and rescanned long after the opening of the card. This is especially interesting if you create your Smart Card QR code to change its message or landing spot every day. Creating a QR code is easy. Scanning a QR code is even easier. After creating just one, you will be able to create more in just minutes. Understanding the technology behind making or using QR codes is not necessary—the cool thing is that even if you do not own a smart mobile device but, just a computer, you can still do it. Even if you do not own a computer but only a smart mobile device, you can do both—make it and scan it. The illustration is a simplified basic version of “how it works”. As your skill level increases you will be able to develop more advanced applications. 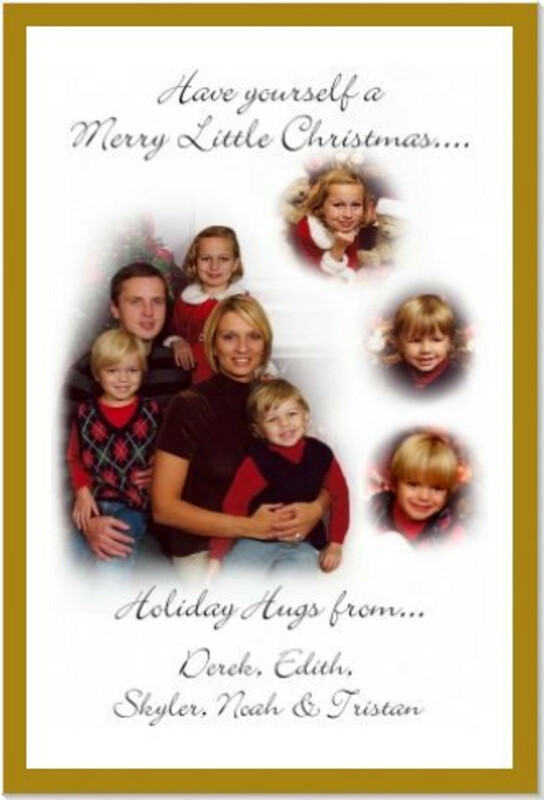 Below are step by step instructions do both create and scan Smart Christmas Cards. A landing spot simply put is where the code takes you to wherever you want to go when scanned. or, http://www.qrcode-monkey.com/. Both do an excellent job. Sometimes, I will use Goggle’s QR code shorten-er if I also want to track who/what/when scanned the code. Both of these sites offer mobile versions and great help and offer creative options such as adding logos or pictures to your QR code. 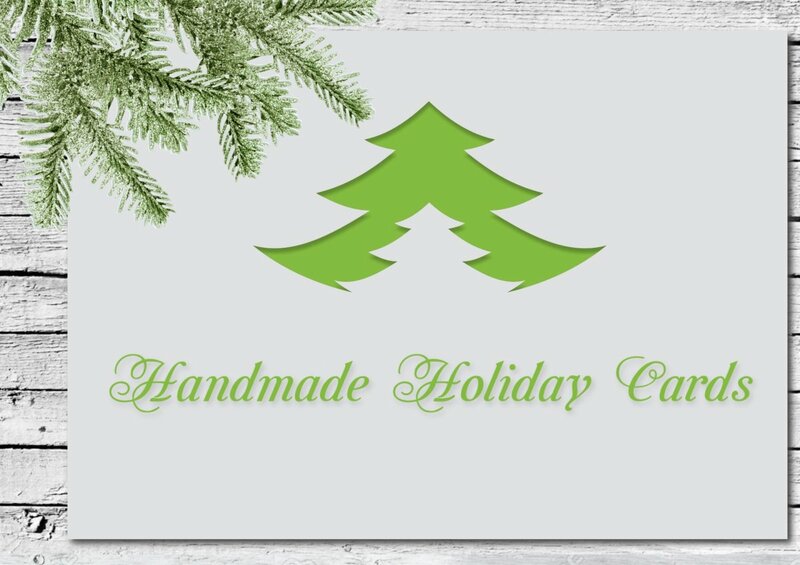 Perhaps you are creating your card from scratch and simply want to include your Christmas QR code as part of the design. You can pull your code directly from your graphic files and copy and paste it, or insert it wherever you want. For best results, make your code no smaller than one inch. If you are using a pre-printed card than you can print it out on sticker paper and place it the white space. Once you have created one, it’s hard to stop and you will find other occasions to use them. 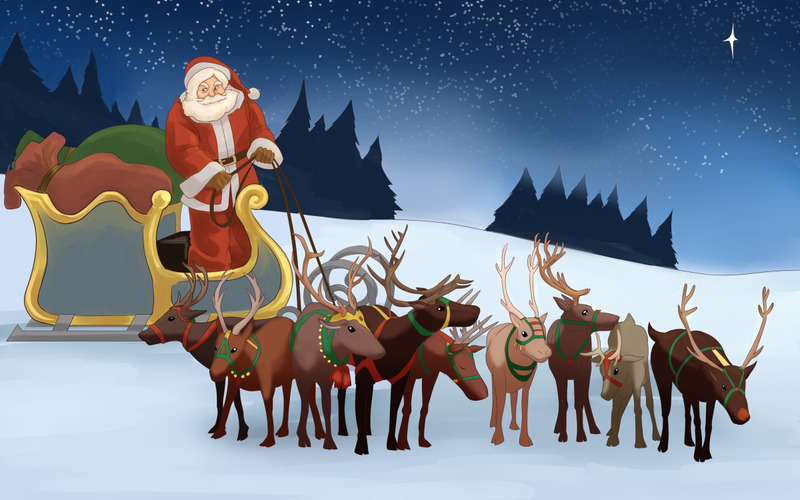 I have used my Smart Christmas Stickers on not only Christmas cards but also use them on business correspondence, gift tags, applied them directly to gift packaging, and even on envelopes. 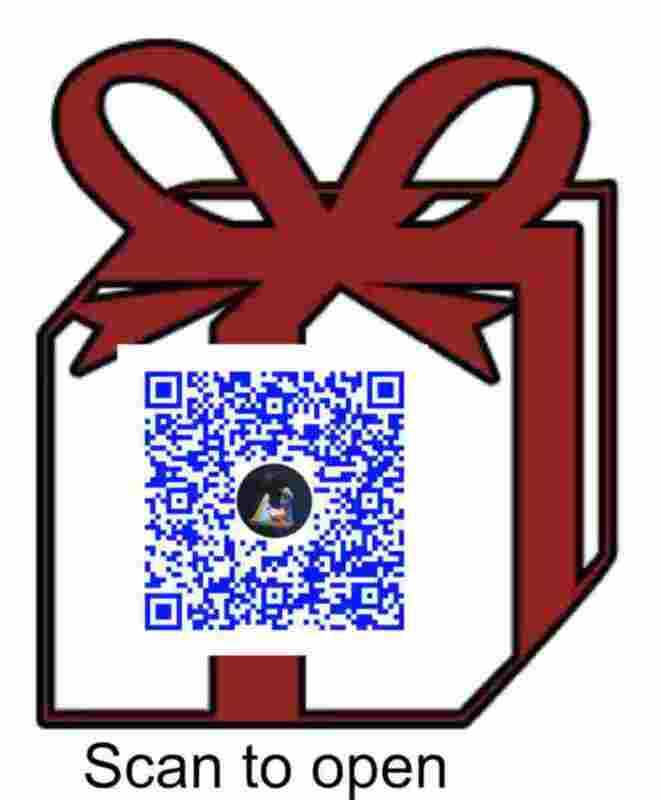 Get creative by embellishing your QR graphic with photos or symbols or, like the sample below, add a larger graphic and place the sticker inside. The important thing to note here, is be careful to not to comprise the code, leave white space around your QR graphic so that when scanned, the QR reader will be able to properly identify it. Scanning a QR code requires a “reader” application installed on your mobile device. Some new phones already have this built in. There are many on the market and most all are free. They are easy to install and most have features that do more than just scan QR codes. Most will read bar codes and many now will also read magazine type hidden codes—you scan a picture and it comes to life. Here is a great source for choosing the QR code reader. It allows you to choose the reader for any platform or mobile device. It also gives the pros and cons of each. Have you ever used a QR code? Would you like to see more ways to use QR Codes? Glenn, yes! I too love working with QR...recently I created QR pinback buttons for a retail business that the cashiers wear. When customers scan the cashier, they get entered into a contest. Both the cashier and the customer wins...along with the business...by using Google analytics, the store captures pertinent customer information, and builds its client base. This is great! As a creative person myself, I am thinking of all sorts of ways to make use of QR codes. Thanks to you, I am now aware of the power behind this technology. 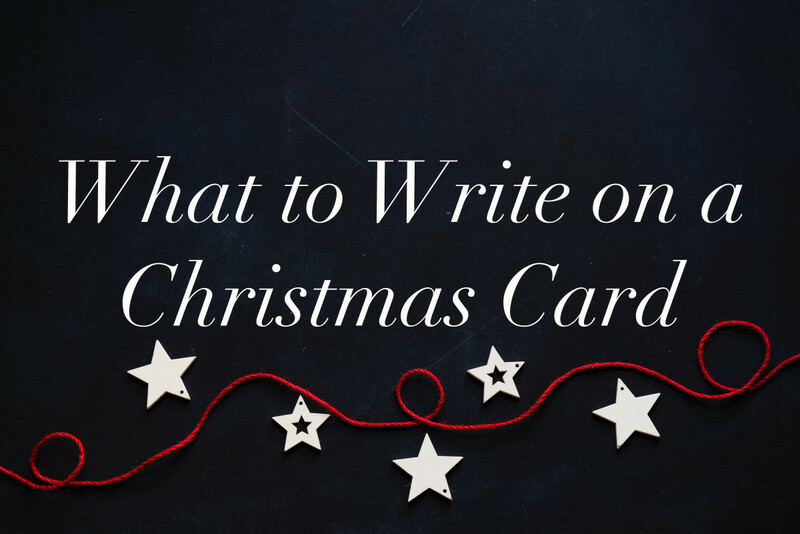 Not only for Christmas cards, but it's useful on just about any correspondence. I use the Google URL Shortener a lot and have always noticed the QR code but never thought twice about it. Now I'm going to experiment with it. Thanks for great, descriptive, and complete article. I find this hub very innovative, interesting and awesome. 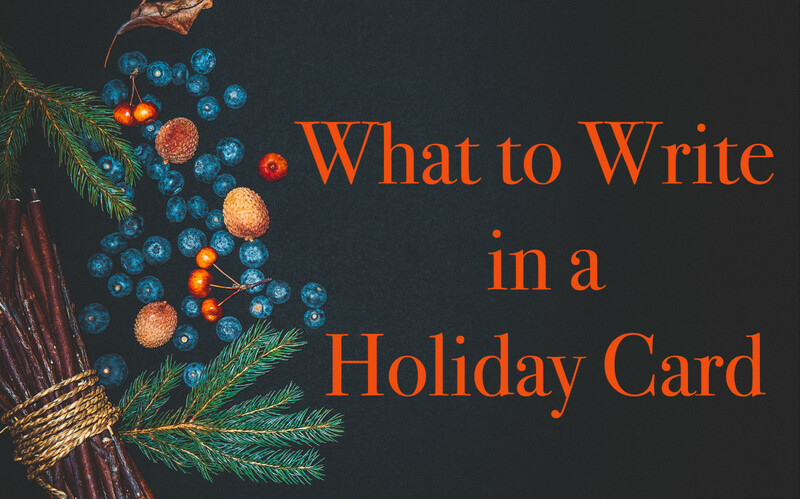 I do agree with you that Christmas cards or any other cards are not on the top list for give aways or symbol of thoughts.Gift preference changes as time goes on. This Smart Card is a twist and blend for traditional and modernized season cards. Voted Up, interesting, and awesome. Interesting article. This is the first time I have seen cards like this. 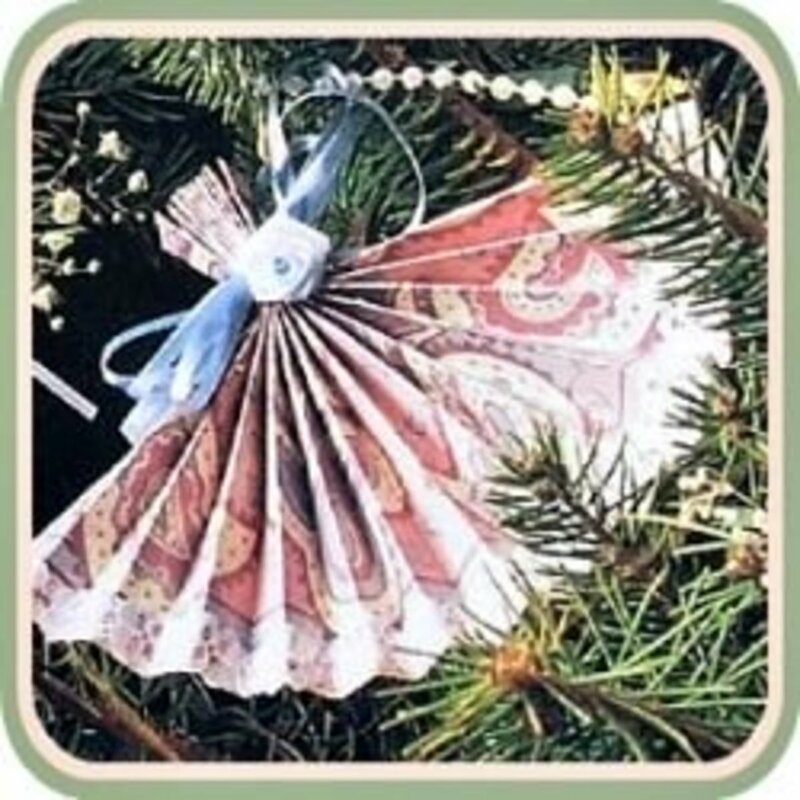 I gave up sending Christmas cards years ago, posting too expensive. (maybe that's an excuse), I look at it this way, I never heard from them all year, receiving a card in most cases never meant anything, from both sides, it was just a feeling of keeping an old fashion thing going. The younger generation don't do it. They just text. Close friends I usually ring them up christmas morning and christmas day is usually spend with family with gifts and lot's of smiles, laughter and kisses. This stuff is way over my head, but I'm sure the younger members will easily understand and employ it!